The 2013 Celebrate Shorebird program is winding down and we are currently recruiting for the Cordova, Alaska site. Please spread the word about this incredible opportunity! 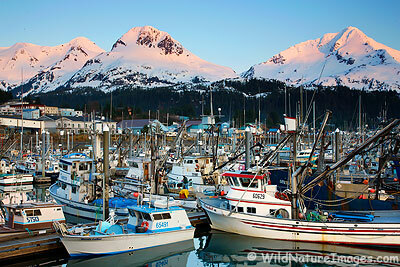 Position Location: US Forest Service, Cordova Ranger District, 612 Second Street, Cordova, Alaska. Environment for the Americas and the US Forest Service invite you to apply for our internship opportunity on the Cordova Ranger District of the Chugach National Forest in Cordova, Alaska. Internship work will focus on migratory/nesting bird projects, citizen science and public outreach; however you will be provided with opportunities to experience other wildlife conservation jobs during the internship. You will assist in a variety of shorebird work as well as participate in other wildlife related fieldwork. The intern will develop and present bilingual (English/Spanish) public presentations, work onsite with educators as part of our environmental education and interpretative programs, develop and implement an outreach program into the local Spanish-speaking communities and visitors and help with the Copper River Delta Shorebird Festival. Knowledge of bird conservation not needed, but a willingness to learn is required and an enthusiasm for interacting with the public and children is encouraged. You will receive all necessary professional training and will gain real life job experience working alongside our wildlife staff and environmental education specialists. This is a great opportunity for career shadowing and hands-on experience in the fields of wildlife biology and environmental education. Wildlife fieldwork in Alaska is conducted in rain and cold temperatures (and sometimes sunny days). This work is rewarding but is also physically challenging as many key wetland field sites are far from the road system. Travel in Alaska is conducted by motorized and non-motorized boats in many places and may even involve travel in a small plane. It will be the adventure of a lifetime! removal. These tasks require walking all day, carrying heavy packs, and canoeing. •	Conduct migratory shorebird surveys and data entry. •	Promote educational programs with local and national English and Spanish-language media. •	Assist with our Copper River Delta Shorebird Festival. •	Present onsite and offsite public presentation to promote shorebird conservation messages. •	Fluency in both English and Spanish. with leaders, educators, and other community members in towns near the refuge. •	Ability to work with youth and adults in field education and classroom programs. Completion of college course in environmental studies, education, biology, or other related field. • The ideal candidate will have a high level of cultural competency necessary to work with diverse communities. Compensation: $1000/month stipend. Housing is provided as part of the compensation for the internship. Must have legal authorization to work in the United States. Please note: Grant requires interns to be between the ages of 18-25 of Latino/Hispanic descent. It is mandatory for the intern to attend the conservation training that is scheduled to take place in California in February 2014. All expenses are covered. For more information visit environmentfortheamericas.wordpress.com or contact Environment for the Americas at 303-499-1950.